On the day Madison reunites with her friend Lucas, who has been away at his aunt's house for what seems like an eternity, she wants - more than ever - to have a day filled with excitement. The family prepares for a trip to a special park and Madison is eager for an afternoon packed with adventure. But her bike won't fit into the car. And the trees that surround the park would ruin her kite. Madison's disappointment grows with each passing minute. "Why are we going to a park that has nothing fun to do at all?" she asks. Daddy hints of a special game and Madison, her family and friends are about to discover that adventure is all around us, every day and everywhere; we only have to open our hearts to what God has given us. 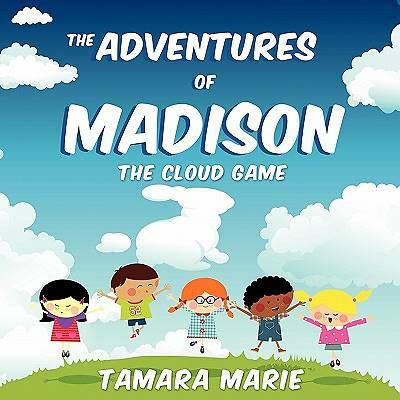 The Cloud Game is the first in The Adventures of Madison series. Tamara Marie is a mother and a grandmother. She was born and raised in Ontario, Canada and moved to British Columbia in 1992 where she works as a counselor of youth at risk. She holds a Bachelor's degree in ecopsychology and is currently pursuing her PhD from the University of Portland. Tamara is a published author and has been writing children's books since 2004.